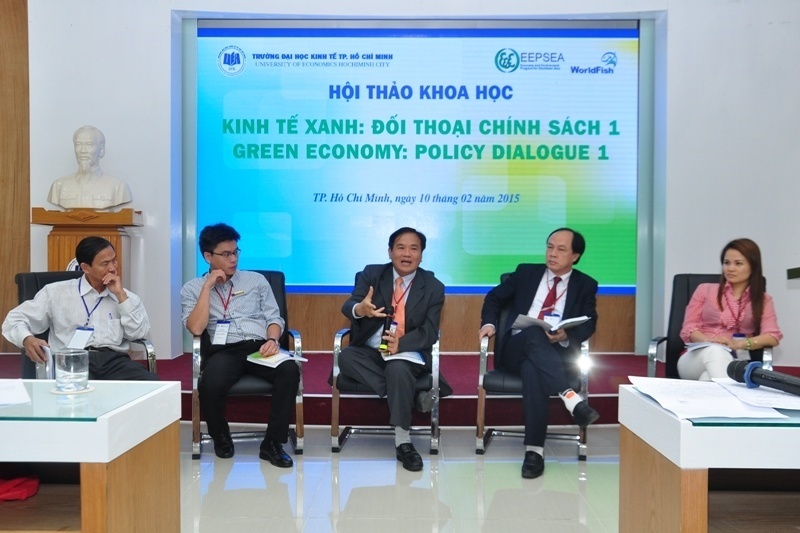 On 10 February 2015, EEPSEA and the University of Economics Ho Chi Minh City held a policy dialogue on green economy. It was organized to serve as a venue to share views on the current status and trends of Vietnam's economy towards shifting to the green economy model. More than 40 people attended the policy dialogue including representatives from the provinces of South and South Central Vietnam. Among the topics discussed were the macroeconomic policies developed to meet the requirements of green growth in the context of global climate change; the implementation of the green growth strategy in the South; and the difference in green growth policies in rural and urban areas, particularly in the Mekong Delta provinces and in Ho Chi Minh City. Current business trends towards supporting green growth were also discussed as well as the responsibilities of economic management agencies, media agencies, professional associations and consumers in achieving green growth.